It's Got to be The Shoes! ~ Roundball Manor - The House that Basketball Built. 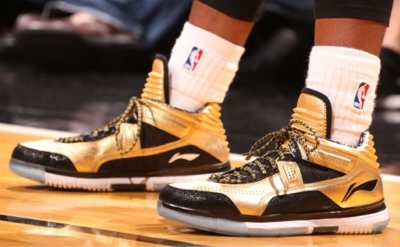 Rocking gold kicks and a golden game to match, Dwyane Wade put the Spurs on notice last night: The Heat are not done. He is not done. There is plenty left in the tank. The Spurs will need to completely re-adjust their game plan to re-accommodate for the big three. Chris Bosh dominated Tim Duncan with a monster stat line of 20 pts, 13 boards, 2 blocks, and a fancy dunk at half time that didn't count. 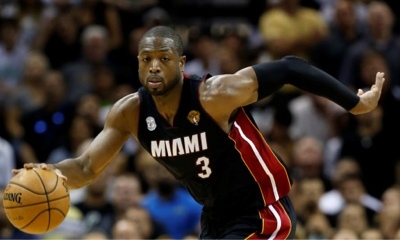 He was the paint presence the Heat have been waiting for this series. If he can get a double double every game they will have a great chance to win, and if Dwyane Wade can dominate like be did last night the Spurs have no chance. It's got to be the shoes!